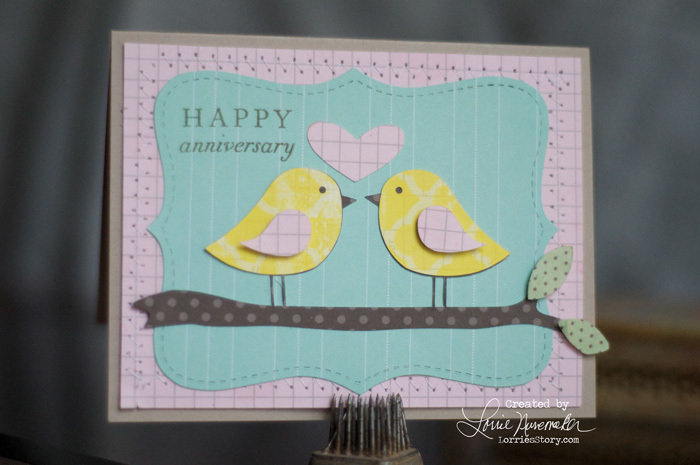 I made this card using a Silhouette Cutfile for the birds and branches. The shape is from the Stampin Up Top Note Die. The papers are by Pink Paislee from the Daily Junque Collection (one of my all time favorites). You could easily use this as a Wedding Card, Love or Valentine card with a simple change of sentiment.